Government projects are turning to Geofoam to solve geotechnical challenges and to save money. Expanded polystyrene (EPS) Geofoam, a soil substitute, is 100 times lighter than soil or other foundation materials, but retains exceptional compressive strength. It is lightweight and easily handled at job sites. This makes it easier to work in all applications, especially difficult-to-access spaces, such as steep slopes where Geofoam can be used to lessen the risk of landslides. Geofoam is inert, highly stable, and extremely durable, meaning it won’t decompose, decay, or produce any undesirable or harmful gases. Under normal conditions, EPS Geofoam does not require any maintenance and is unaffected by freeze-thaw cycles, moisture, and road salts. To date, EPS Geofoam has been used in a multitude of projects across the United States. 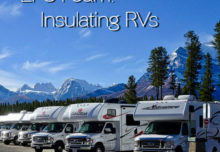 Insulation Corporation of America’s Geofoam government projects include the New Jersey Turnpike Project and the PennDOT Road Project in Cranberry Township PA. 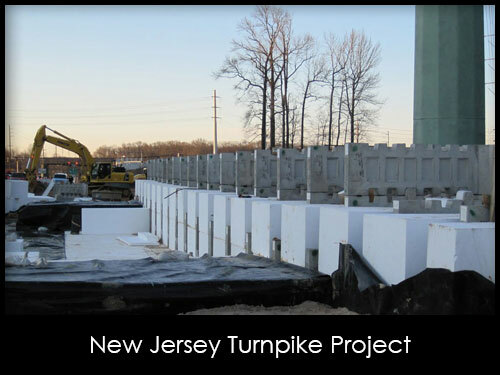 Insulation Corporation of America supplied the Geofoam for the New Jersey Turnpike Authority project which needed to limit the amount of soil pressure on the adjacent electrical tower. Lightweight Geofoam and fill were used to stabilize the precast wall and backfill. 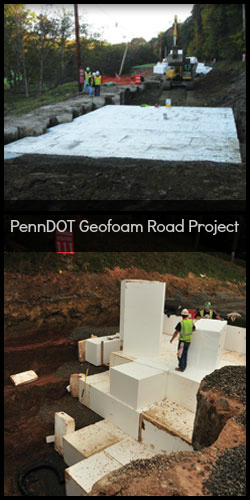 ICA Geofoam blocks were also used as a soil substitute for stability and cost effectiveness in the Pennsylvania Department of Transportation’s first statewide Geofoam project. It was the solution for a problem area that in the past had continually wash away, closing the road for periods of time. In Solano County, CA, Geofoam was used as the void fill for water channels at the Fairfield-Suisan Sewer District. The schedule was accelerated using Geofoam, significantly reducing labor and material costs. Geofoam is also a superior choice for lateral load reduction on retaining structures, soft soil remediation, and slope stabilization. In the I-80/I-65 interchange project, located in Gary, IN, Geofoam was used to prevent post-construction settlement. Nearly 400 dump trucks were reduced to 32 truckloads of EPS Geofoam. Not only did this save time and money, it greatly reduced construction traffic in this highly congested area. Geofoam means less spending for government projects. No matter what side of the political fence you are on, less spending is indeed agreeable news. 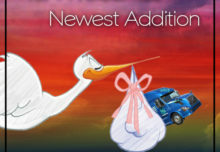 To find out more, visit www.govengr.com. 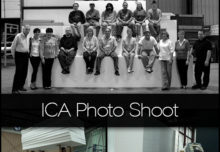 Visit ICA’s GEOFOAM and EPS pages. 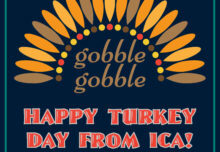 To speak with an ICA representative, call 610-791-4200.